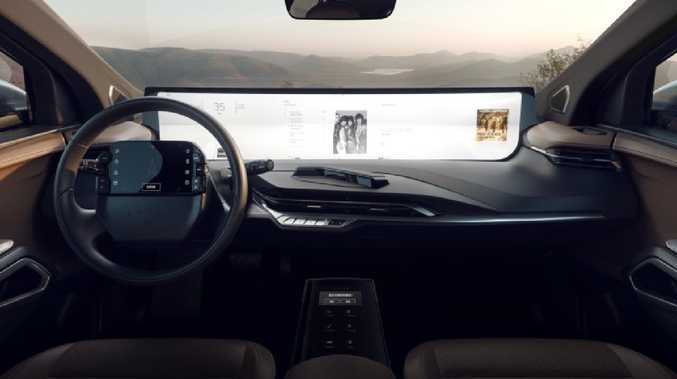 The Byton M-Byte electric SUV will feature a 48-inch wide digital screen. THE Consumer Electronics Show in Las Vegas is known for its wacky concepts but this start-up brand might have gone too far. 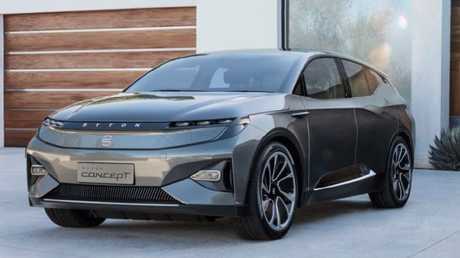 Electric vehicle maker Byton from China is preparing to launch its first car later this year. At CES the maker displayed its M-Byte SUV concept, one version of which has range of 400km, the other more than 520km. The M-Byte's biggest head turning feature is the enormous digital screen that completely dominates the dash and could even obstruct the driver's view. The 48-inch screen, about the same width as a 55-inch TV, would be viewed from just over arm's length away rather than the comfort of your couch. The Byton M-Byte is planned to go on sale in China later this year. Byton hasn't stopped there - the seven-inch digital screen on the steering wheel acts like a remote control and allows the driver to select what is displayed on the giant screen. Another touchscreen, an eight-inch job in the centre console between the front seats, looks after the infotainment. Users can also direct functions via voice, touch, gesture - and even conventional buttons. Facial recognition tech is anticipated if the vehicle becomes a production reality. Byton expects its first vehicle to go on sale in China in the fourth quarter of this year with US and Europe deliveries to start some time next year.